Receiving only Social Security Disability Income means living in poverty. Seattle (ESTRA) - Frankly, the quality of care and service with Social Security Disability can run the gambit from excellent to poor. As I’ve said previously, it depends on the local office visited, luck of the draw of whom speaking to when calling 800 number, and knowledge about subject at hand. The Social Security Disability process can take up to three years for completion unless being reinstated. 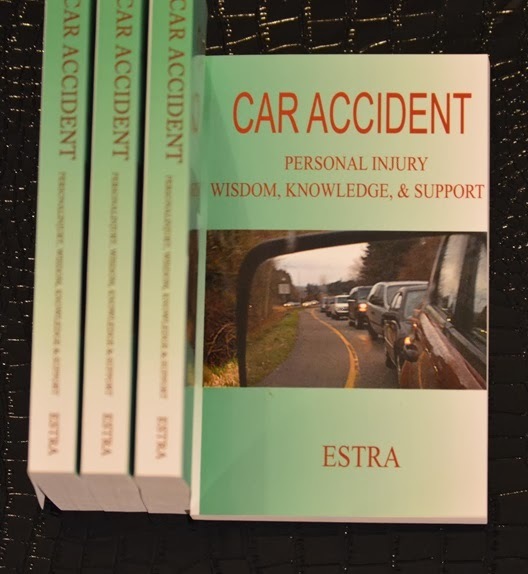 If other options such as Auto Insurance Settlements, Employer Short and Long-Term Disability, or Individual Long-Term Disability Carriers do the right thing of paying out on these claims, most people involve in collisions can get through difficult parts, the shock of situation, and spend less time worrying how to survive. Employer coverage can be converted to Cobra which is an option to pay own medical insurance through employer rather than loose it at time when needed most. Or, preferably selecting Obama Care which is a less costly choice with more options will help when disability looks probably and job loss inevitable. Social Security Disability from my review was not designed as a “full support” benefit for those becoming disabled. It was created to help supplement lost income for people who unexpectedly become disabled and aid to live at a decent standard of living. Unfortunately, some private companies see this as an opportunity to take advantage of a Federal Program. When private companies are able to reduce the amount of a Policyholder benefits if approved for Social Security Disability (SSDI), Insurance Carrier's profit at expense of those who are expecting full assistance. Most sick or injured are not in a financial position to absorb unfair reductions, since paycheck to paycheck living in conjunction with decades of wage stagnation, makes financial ends meeting a struggle for most people. Are these actions taken in order to pay corporate investors more? The number of people who open Auto Insurance Claims whether paid, denied, or terminated should be available for public view from both public and private insurance companies. What is the average length of time for those who do eventually receive nothing, a portion, or for full claim settlements or benefits? And more importantly, what measurement of pain and suffering imposed on those waiting to receive claim payments. Information should be tracked on what poor and middle class were paid, was a substandard payment accepted to eliminate harassment or intimidation? How many Policyholders just gave up due to lack of resources to fight these large corporations, or too sick or injured to follow through? These are important concerns of Insured Civil Rights Legislation Congress needs to address on at Federal Level. Disabled lives would be changed if Insured Civil Rights Legislation was taken up by Congress in order to put protections in place for those who are most vulnerable to bad faith practices by companies who would use them in order to avoid paying out legitimate claims. Far too many sick, injured, or disabled people depend on Social Security Disability as their sole of source income. Until Auto Insurance and Employers do the right thing by poor and middle class policyholders who do not have resources to fight for rightly requested benefits, this classes will continue to look to the only public insurance agency where they have at least a fighting chance of receiving benefits which they have paid into for this purpose. Know Social Security Disability Rights and where to find answers the next time asked a question, request is made, or information is needed. The discussion throughout Series I will be about the major content in Title II which is where to look for Disability Insurance and Title XVI for Disability Benefits for people who do not qualify under rules of Title II, but meet Disabled standards and meet low-income requirements. The United States Treasury manages the Social Security Trust Fund with includes the Title II Insurance Program Officially known as Federal Old Age and Survivors Insurance Trust Fund and Federal Disability Insurance Trust Fund. This is a long way of saying, Social Security for retirement age, and Social Security Disability. Of key importance is recognizing that Title II Program are an Insurance Fund, meaning the participants paid into these funds with their own money in case needed due to a disability or at retirement. Therefore the next time someone brings up getting something for nothing, ask them do they believe this when paying their money for premiums to any insurance company? The reasons for insurance are same for most policyholders whether for auto, health, disability, life, or retirement. 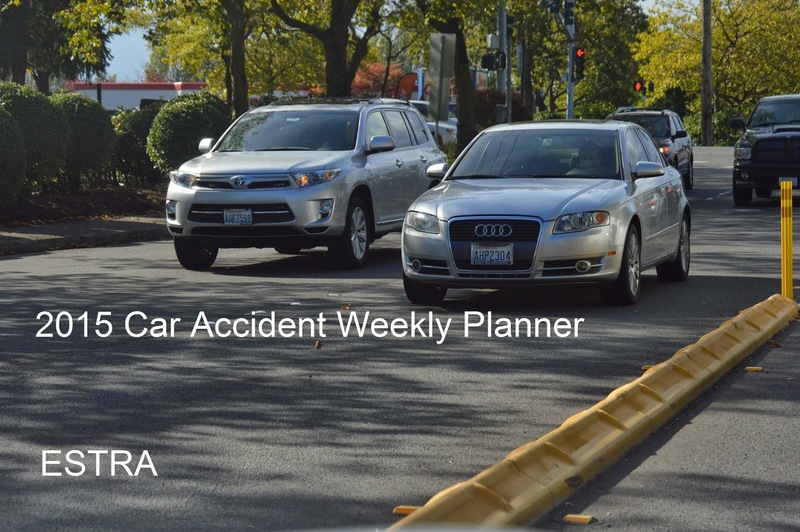 The purpose of these policies is a safety net against unexpected circumstances. Unfortunately, Wall Street and Politicians use words such as "fraud" or "abuse" to scare many needy and deserving applicants away, so their investors can continue to exploit these resources. From my perspective Voter Registration Fraud and Disability Fraud are tactics used against people in our society who do not have the resources to defend themselves, protect benefits, or settlements they are due. If these people were as concerned with fraud in society from my perspective, they would take on Wall Street. Predatory harassment and intimidation of those sick, injured, or with disabilities should not be singled out in hope of allowing Social Security Funds for Wall Street Investors to use as they please. These resources are set up to protect 99% in society with few protections today. Congress should support Insured Civil Rights Legislation to reduce or eliminate "Bad Faith" Insurance behavior from both public and private carriers. Paying into Social Security for 99% of workers may be one of the most important things for your future. Did you know Baby Boomers not only paid into Social Security for themselves but also the generation before them? Few generations have given so much to this Insurance Fund. Has these Funds become a hot topic because of the recession brought on by Wall Street? Once ignore and considered non-important, now standing front and center, is the concern really about going bankrupt? Or is it tactics to change the way Social Security uses these resources? Is this a similar tactic as done to U.S. Postal Service? No other public or private entity has to put as much money away for their Pension Plans. Would politicans ever ask Wall Street to put away enormous amount of money which make their bottom lines show loses purposely? Personally, I think not. Critical thinking when evaluating or reviewing SSDI information helps make better decisions. Knowing how you may be impacted, understanding the rules, or ablity to discerns the pros and cons of choices gives directional focus. In other words, questions must be asked beyond the first level. Be willing to dig a little deeper to ascertain what is behind an action, rule, or question. The United States Treasury which is responsible for administering Social Security Funds Title II Old Age Survivor and Disability Insurance and Title XVI Supplemental Disability which supports low-income applicants which typically do not qualify for Title II, however there are a few exceptions. Under Internal Revenue Code authorization, the IRS is responsible for depositing taxes collected i.e. premiums into the Social Security Funds. Notice those deductions from checks throughout work history for Social Security? This is how transfer takes place. This also provides a tracking mechanism often used to verify wages, taxes due, number of months worked, and total income in order to assess whether qualifications are met. A review in terms of how long worked and how much put into Social Security for eligibility. Why is it important to know how eligibility is determined? In my opinion, not all local Social Security offices are created equal. And, let’s not forget personal interactions and conflicts which arise when dealing with personalities, cultural differences, and this list is truly endless as to the complications with human interactions. As if this was not enough, what if private companies trying to get out of paying their fair share? What if they attempt to eliminate a Social Security Disability Approval in order to save themselves having to payout Short or Long-Term Disability? Is denial in best interest of public and private insurance companies? How many poor and middle class applicants have resources to take these giants on? What can these insurance companies do? 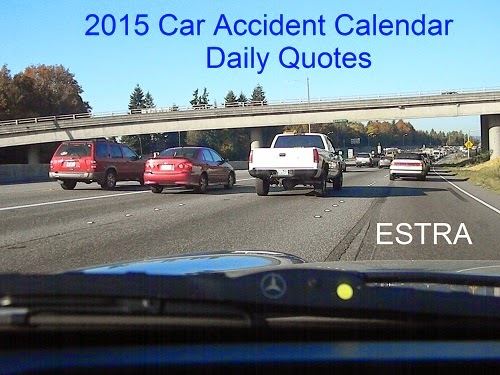 One of the first things is denying claims for Policyholders. If are able to deny claims for individuals, then most people will go under within six month, frankly. Living paycheck to check means, mortgages go belly up, family needs end of being sacrifice in order to stay indoors. By the end of six months, these insurance companies know sick, injured, or disabled people have been totally annihilated. This may be a dog eat dog world in the insurance industry whether public or private, but is this what Policyholders are told? Are they told, Social Security Disability will be a safety net in cause of injury? That Auto Insurance will come in as a knight in shining armor when involved in a collision? Along with medical insurance providing the healthcare needed when physical and mental injuries occur? How many people have been dropped from their insurance carrier in their most important time of need? How many Auto Insurance Companies or Employers have failed their policyholders and taken them to court which extended out for 10 years? This isn’t what policyholders signed up for at all. Can all these same things happen with Social Security Disability? Yes they can. The surveillance done by any of these public or private insurance companies harass and intimidate sick, injured, or disabled to keep money promised for a rainy day for their customers. All under the premise of fraud or anything else which instills fear into people who trusted and relied on their help. Frankly, it is time to restructure the Insurance Industry. Restoring the balance between needs of industry and Insured Civil Rights nationally. What state has enough resources to keep these multi-billion dollar companies in check? Or have too few Lobbyist to stop bad behavior tactics against Policyholders? Have you gotten letter from IRS to support the efforts of public or private insurance companies to deny a claim? Unfortunately, it’s the 1% not the 99% where income is a factor. Public or private companies in my opinion initiate IRS investigations toward these 99% in an effort to eliminate their own claims open by Policyholders. Are you getting a sense that more goes into processing a claim? Who is involved in process? Many different corporations play a role in the lives of those seeking only what they have been promised. The Organization Chart for Social Security Disability includes: The U.S. Treasury/Internal Revenue Service, The Commissioner of Social Security who makes decisions about escalated cases or leaves it at local Social Security Office. Supposedly, its not the same person who made the initial decision. Commissioner has the right not to share information regarding your case, even if it ends up in court. I wonder is this for their benefit or the injured person? In summary, it includes The Secretary of Treasury, Social Security Commissioner, Board of Trustees, Secretary of Labor, Secretary of Health and Human Services. Think all the basis are covered with this group? And of course, private corporations are tied into each of these government agencies. How are sick, injured, or disabled tied in? Only through a need for assistance. Wherein does this power lie? Would Wall Street have to wait three years for help? I suspect they would not. They don’t wait more than 30 days on most occasions. Frankly, the greater distance government programs have from Wall Street, in my opinion, the better. Why? Main Street tends to face more difficulties whenever Wall Street has something to gain, like more to invest. Congress is also in this mix. In fact once or twice a year they receive updates on Social Security Funds activities. Congress could initiate Insured Civil Rights Legislation to protect sick, injured, or disabled for those on Social Security Disability, but also modification to ERISA which allow private corporations not to pay their fair share to employees who paid into their insurance plans. Wouldn’t you think those in the above Organization Chart are able to recognize the need for protections? They know most disabled only receive income from them and live in poverty. Wouldn’t you think it would be in their best interest to help their insured move from poverty to a decent standard of living? This is especially after paying premiums to employers, auto or long-disability insurance companies? How long will they remain silent about plight of their poor and middle class people receiving SSDI? In my opinion, when they work on behalf of Wall Street the equation is skewed in favor of corporations. When Law Enforcement and State Attorney Generals work with public or private insurance companies, surveillance is added against sick, injured, or disabled who are already at a disadvantage with limited protections. The approval process is extensive for SSDI approval and most people would rather return to their pre-injury life rather than dealing with daily issues and agencies. Will Social Security allow these companies to hide behind them? Will they jump on the band wagon against the 99% now that Congress is interested in privatizing Social Security for Wall Street? Will they disregard legitimate claims in order to reduce number of Baby Boomers who paid twice as much as any other generation? One could ask where has money gone? Babyboomers made enough for them and the generation before them to pay insurance. So what happened to the money? And what can you do to stand up for yourself if finding yourself on the wrong side of this equation? There are many checks and balances in the process of managing both Social Security Funds. Pay attention to Congress’ willingness for Wall Street to gain access to these funds. Be watchful if Congress decides protections for policyholders are needed in both public or private insurance plans. Perhaps new online Social Security Administration Website will create a standard which may help sync actions and behaviors of local offices. Now individuals can go online and find out the facts for themselves. This will also eliminate some confusions of the past by reducing answers which were not necessarily the same. Legal counsel does not always operate in best interest of a person applying for SSDI, which further complicates the process. Attorney selections also require investigation on your part in order to protect your interest. Frankly, the perceptions of disabled needs changing. This is not the life circumstances dreamed of, no one likes pain and suffering, living in poverty, what kind of life is this for anyone? This is an excellent time to bring out issues that have laid beneath the surface for generations throughout the United States. Respect and fair treatment for disabled would be a great start with paying out public and private insurance claims a close second. Again, this is an Insurance Fund which is paid into by you on every paycheck. The framework must be viewed not only from standard SSDI procedures, but outside influences that may impact claim. Be aware people may not have your interest at heart. Educating yourself about the rules of applying for Social Security Disability under Title II and Title XVI may be best defense. Do not neglect the impact on Employer Benefits and Auto Insurance Companies. Start application process as soon as possible. Decisions can take up to three years. Don't get discourage if denied initially. Seems like this is common behavior for most insurance companies including SSDI. Most people suffer through these years without income. Know that others have made it and so will you.